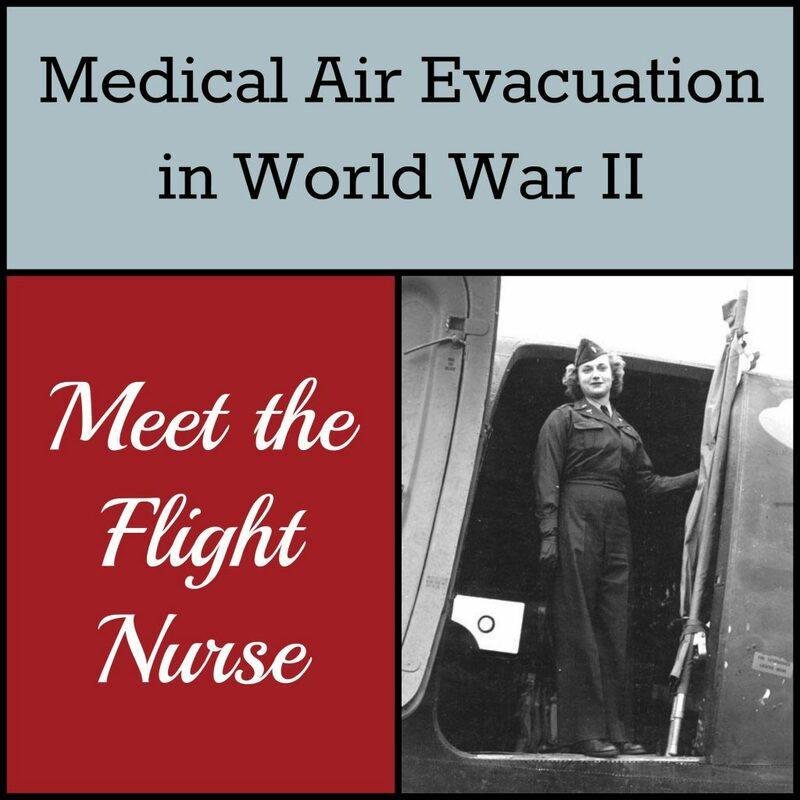 Medical Air Evacuation in World War II, part 3: The Flight Nurse – training, uniforms, duties, and dangers. For Lt. Kay Jobson, flight nursing meant more than physical care. It meant reconnecting a broken soldier with the shards of his humanity. Kay assessed her planeload of patients en route from Italy to Tunisia. A restless lot, downhearted. That wouldn’t do. Before World War II, medical air evacuation was little but theory—by the end of the war, it was recognized as vital to patient care. I enjoyed following the development of air evacuation in my Wings of the Nightingale series, which featured three flight nurses based in the Mediterranean. This blog series has discussed:. The profession of flight nursing began in World War II. The US Army Air Force started the first training program at Bowman Field in Louisville, Kentucky in the fall of 1942. Training was haphazard at this point, and the first two squadrons (the 801st and 802nd) were sent overseas before training was complete. The formal program ran six to nine weeks, changing throughout the war. The first class of 39 flight nurses graduated on February 18, 1943. The program was named the School of Air Evacuation on June 25, 1943 and moved from Bowman Field to Randolph Field, Texas on October 15, 1944. The US Navy’s School of Air Evacuation Casualties opened December 10, 1944 at the Naval Air Station in Alameda, CA. The first class of 24 nurses and 24 pharmacist’s mates graduated January 22, 1945. On March 6, 1945, Ens. 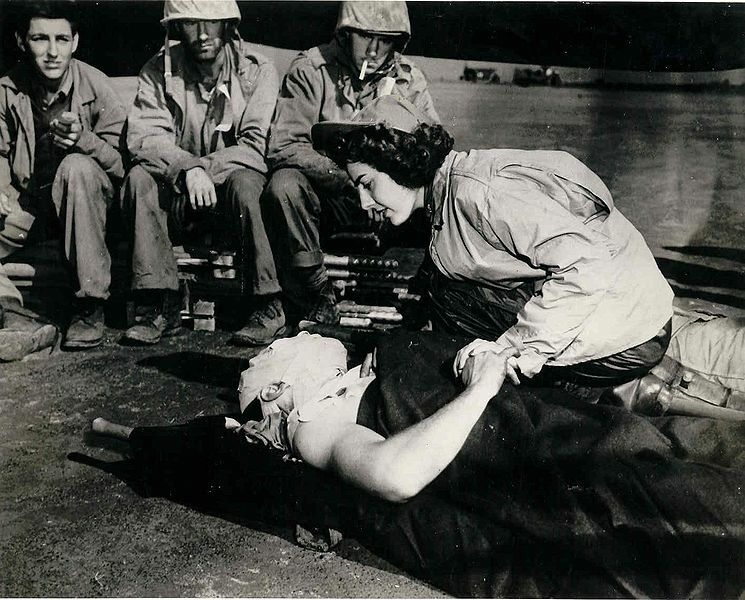 Jane Kendeigh became the first Navy flight nurse to fly directly into a battlefield when her plane landed on Iwo Jima and came under artillery fire. A month later, she also became the first flight nurse to land on Okinawa. In training, the nurses studied academic subjects such as aeromedical physiology. They also learned field survival, map-reading, camouflage, ditching and crash procedures, and the use of the parachute. The program included calisthenics, physical conditioning, and a bivouac in the field with simulated enemy attack. In the US Army Air Force, each Medical Air Evacuation Transport Squadron (MAETS) was headed by a flight surgeon and chief nurse. The MAETS was divided into four flights, each led by a flight surgeon and composed of six teams of flight nurses and surgical technicians. A Headquarters section included clerks, cooks, and drivers. On July 19, 1944 the squadrons were re-designated Medical Air Evacuation Squadrons (MAES). 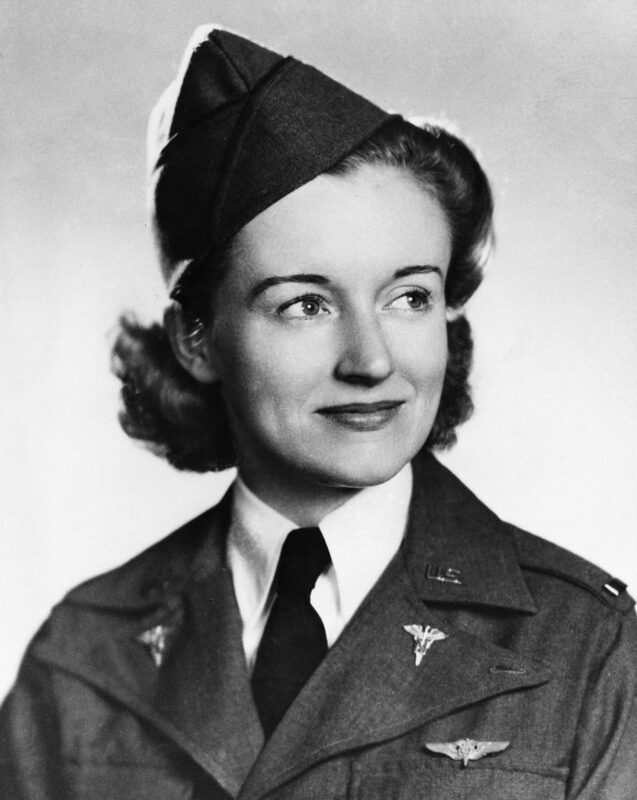 The typical Army Nurse Corps uniform of white dress or a skirted suit uniform did not work in flight (Read more: Army Nursing in World War II – Uniforms). Although some resisted—including in ANC leadership—the women were allowed to wear trousers. The first few squadrons improvised uniforms, cutting down the dark blue ANC service jacket to waist-length and purchasing trousers. 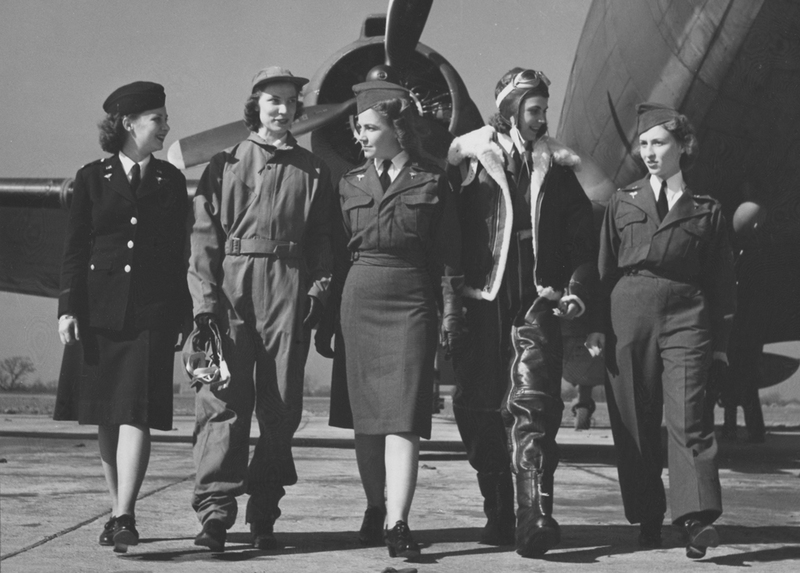 Eventually an official flight nurse uniform was authorized—a waist-length gray-blue jacket and matching trousers and skirt, with a light blue or white blouse. In 1944, the uniform was changed to olive drab, with a khaki blouse. Depending on the climate, nurses also wore the combat airman’s heavy flight gear. When the first class graduated on Feb. 18, 1943, no insignia was available. Air Surgeon Gen. David Grant pinned his own wings on the honor graduate and allowed the women to wear flight surgeon’s gold wings with a maroon N soldered on. On December 15, 1943, these wings were officially approved, but were changed to silver on September 12, 1944. The role of the flight nurse was revolutionary. No physician accompanied her on the flight, and she outranked the male surgical technician, who worked under her authority. She was trained to start IVs and oxygen, tasks reserved for physicians at the time. In addition, she was trained to deal with medical emergencies including shock, hemorrhage, and sedation. On September 24, 1944, a C-47 made a forced landing on a Bellona Island in the Pacific. Flight nurse Lt. Mary Louise Hawkins performed an emergency tracheotomy on a patient using improvised equipment, including an inflation tube from a “Mae West” life vest. All her patients survived. She received the Distinguished Flying Cross for this. 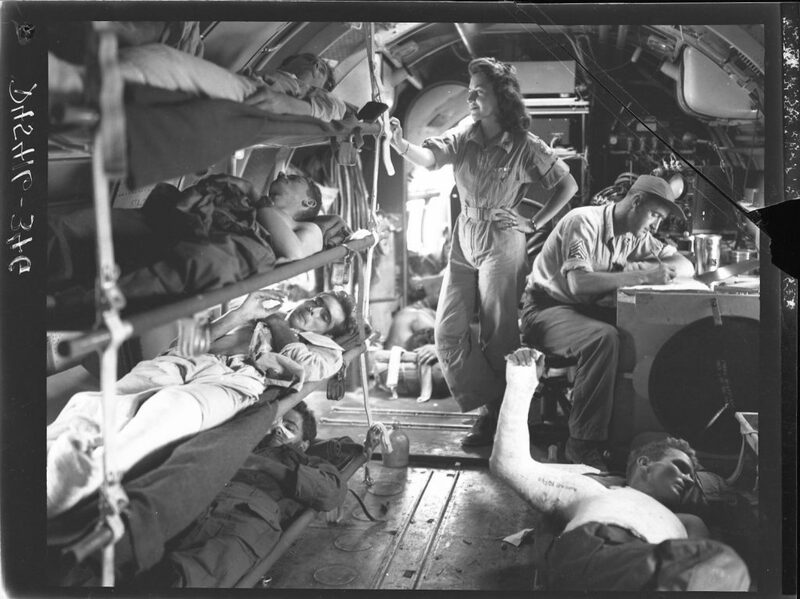 The primary responsibility for the lives of the patients rested on the shoulders of the flight nurses. Their emergency training was put into use in many cases throughout the war. Flight nurses and technicians successfully evacuated patients into life rafts after a ditching in the Pacific, unloaded patients from a burning plane after crash landing in North Africa, and loaded patients under enemy fire in the jungles of Burma. 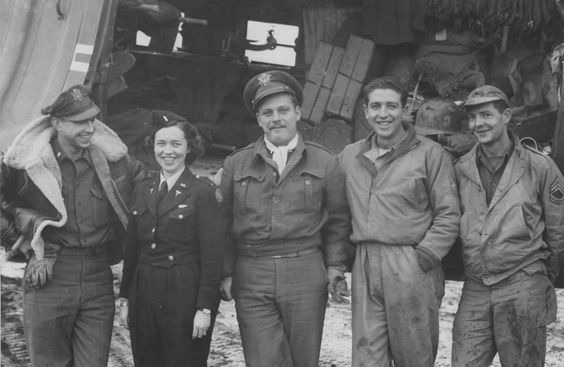 Flight nurse Lt. Jeannette Gleason even parachuted to safety in the mountains of China. In one dramatic incident, a plane carrying thirteen nurses of the 807th MAETS from Sicily to Italy was blown off course and crash landed in Nazi-occupied Albania on Nov. 8, 1943. With the help of Albanian partisans and Allied operatives, the crew, nurses, and surgical technicians all evaded capture and crossed snowy mountains to be rescued at the coast—a two-month ordeal. 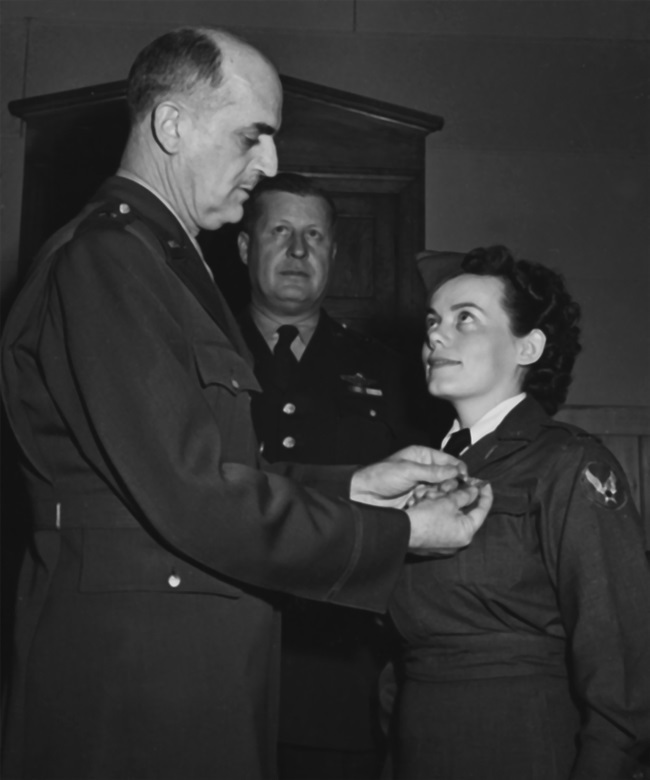 Flight nurse Lt. Reba Whittle (813rd MAES) was taken prisoner by the Germans after crashing behind enemy lines on September 27, 1944 and was returned to the US in February 1945. She received the Purple Heart and the Air Medal. Sixteen flight nurses lost their lives during the war. 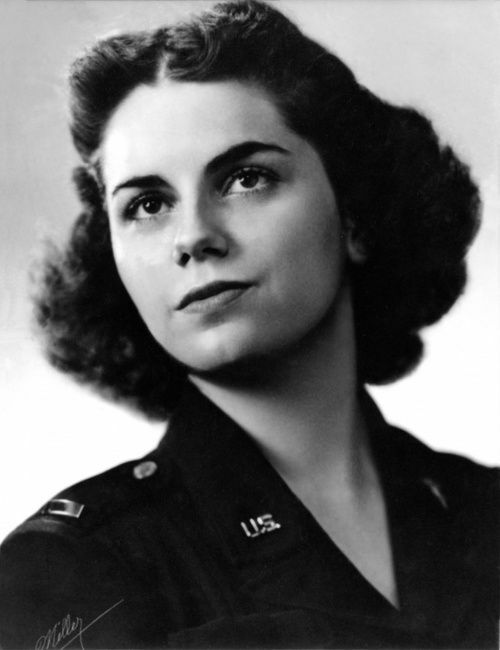 Lt. Ruth Gardiner, 805th MAETS, was the first flight nurse killed, in a plane crash in Alaska on July 27, 1943. 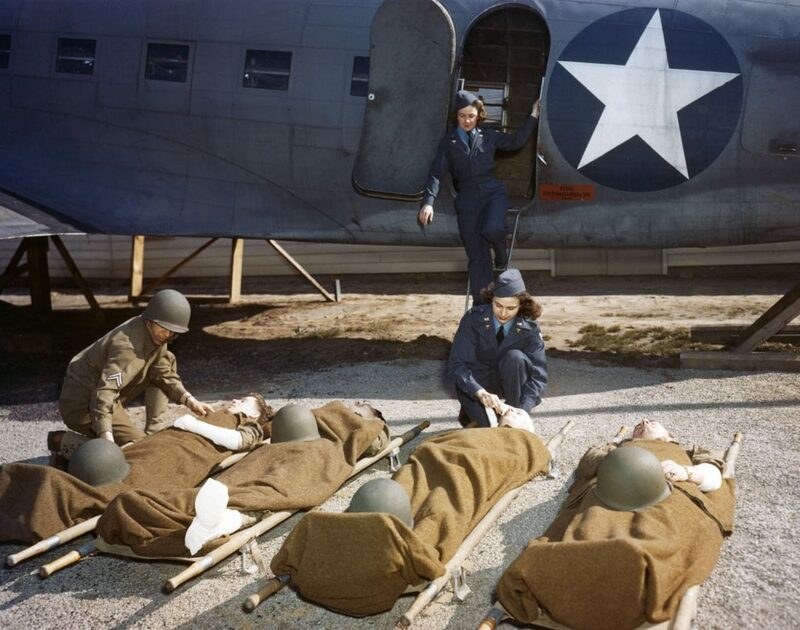 Through professionalism and courage, the women who served as flight nurses in World War II saved many hundreds of lives and comforted over a million sick and wounded servicemen. Sarnecky, Mary T. A History of the U.S. Army Nurse Corps. University of Pennsylvania Press, Philadelphia. 1999. Links, Mae Mills & Coleman, Hubert A. Medical Support of the Army Air Forces in World War II. Office of the Surgeon General, USAF. Washington, DC. 1955. 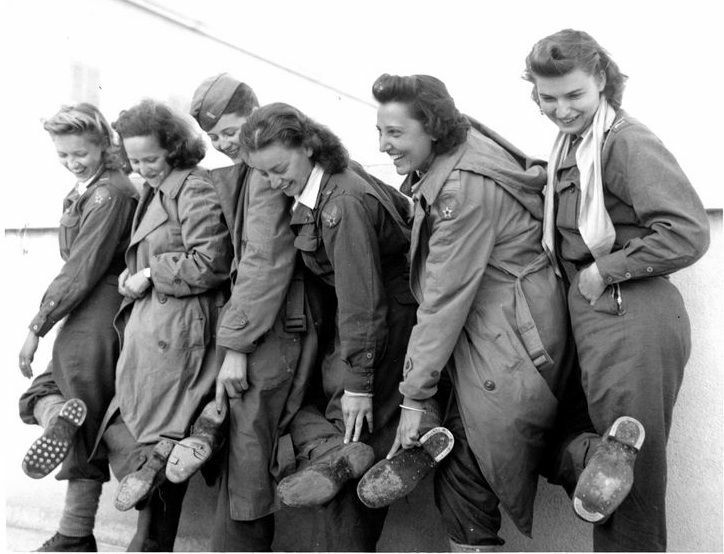 “Winged Angels: USAAF Flight Nurses in World War II.” On National Museum of the US Air Force website. The World War II Flight Nurses Association. The Story of Air Evacuation: 1942-1989. Taylor Publishing Co., Dallas TX, 1989. Website of the World War II Flight Nurse Association. Contains photos, news clippings, and PDF of The Story of Air Evacuation. Lineberry, Cate. The Secret Rescue. New York: Little, Brown and Company, 2013 (story of the escape from Albania). Thank you! I’m sure she already knows everything in here 🙂 Those WWII re-enactors are experts! I love this series of website articles. The fascinating stories and photos remind me so much of your Wings of a Nightingale series — which I have read twice so far! Thank you so much, Kathy! It’s fun to share my research. My parents met in training at Bowman Field. My father, James Crane M.D. was the first commanding officer of the 801st out of New Caledonia and mother, Sylvia Van Antwerp, was in the 802nd in N. Africa. It’s great that you are recognizing their significant contributions to the war effort. Hi Jim! It’s great to hear from you again. I’m so thankful for your mother and for the information you shared with me several years ago. These ladies’ sacrifice and bravery brings tears to my eyes. Wow. Thank you for sharing and giving tribute to only a fraction of what the women did to aid the war effort. I’m glad to do it. They are/were incredible women.